Update: These offers for The Business Gold Rewards Card from American Express and the Premier Rewards Gold Card from American Express have expired. Learn more about the current offers here. Gary made a post yesterday saying that his credit card spending strategy hasn’t changed, despite Aeroplan’s recent introduction of fuel surcharges for travel on Lufthansa. My strategy finally has changed. You see, I have three levels of credit cards — those in my money clip (which I always have with me and use daily), those in my wallet (which is usually in my carry-on and are rarely used), and those in my drawer at home collecting dust (which I acquired just for the welcome bonus, typically). Yesterday my Premier Rewards Gold Card from American Express was downgraded from “money clip” status to “wallet” status. So what’s still in my money clip? The Chase Sapphire Preferred® Card, Marriott Bonvoy American Express Card, and Business Gold Rewards Card from American Express (only because I’m trying to reach the minimum spend). Add them all up and a Membership Rewards point is very close in value to a Delta SkyMile, because nowadays that’s just about their most valuable transfer partner. Without exception, every one of the best award values through Membership Rewards has been ruined. What can Membership Rewards points now be used for? Well, you can use only 63,000 Membership Rewards points to fly Upper Class from New York to London on Virgin Atlantic by transferring to ANA… but you’ll pay $800 in taxes/fuel surcharges. 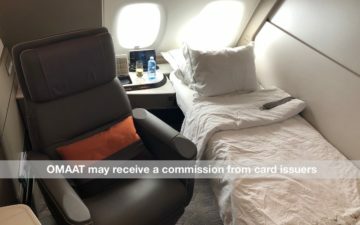 You can use 90,000 Aeroplan miles to fly to Europe in business class through Aeroplan, though any domestic US segments will be booked into coach and if you fly Lufthansa transatlantic you’ll pay $600+ in fuel surcharges and taxes. British Airways? Well, through November 16 there are some good values, but after that you’re hosed. And that only leaves Delta, which is previously the one program you shouldn’t transfer Membership Rewards points to without a specific use. Again, I’m confident they’re working on finding a new partner (I suspect Alaska or US Airways, though who knows), but in the meantime I just can’t justify putting any spend on their cards. Don’t get me wrong, the Premier Rewards Gold card has long been one of my favorite credit cards, offering triple points on airfare, double points on gas and groceries, and one point on everything else. But the Chase Sapphire Preferred card offers two points per dollar on all travel expenses. The thing is, I’d much rather earn 2.0 Ultimate Rewards points than 3.0 Membership Rewards points. Those Ultimate Rewards points can be transferred to United, where you can still fly without fuel surcharges with some amazing award values. For example, 100,000 miles for business class to Europe with the option of flying Virgin Atlantic and having a stopover and open jaw is a fantastic value. Or even better, my favorite award redemption is still traveling from the US to Asia via Europe in Star Alliance first class for only 140,000 miles (business class is 120,000 miles). That gives you four longhaul first class segments and stops in both Europe and Asia for about the same as other programs charge for first class just to Europe. It’s an absolute bargain. A lot of people then ask me about the Starwood American Express. It’s also a great card, no doubt, and one I frequently use. But it’s no substitute for a program with instant points transfers like Membership Rewards or Ultimate Rewards. This is because it takes 1-2 weeks to transfer points from Starwood to an airline. I still love the card and use it all the time, but it’s not a program where I can find the award space, hold the ticket, transfer points, and then ticket the reservation all within an hour. Instead it’s one where I speculatively have to transfer points in hopes of the award space not disappearing, which is a big gamble. If anything it complements Membership Rewards and Ultimate Rewards, since it can be used for hotels when redeeming those points, or if you have longterm award redemption goals you can transfer the points to an airline in anticipation of making a booking. Yesterday alone was a clear example for me as to how tough Membership Rewards points have become to use. I had a longtime client with tons of Membership Rewards points email me wanting to travel from Detroit to Tel Aviv in business class. In the past we transferred to United and usually had a nice one-stop routing on Lufthansa for 120,000 miles in business class. Now the only option is to transfer to Aeroplan and pay 135,000 miles plus about $1,000 in taxes/fees. If we want to avoid Lufthansa and the fuel surcharges associated with them, we would have to add two additional stops (based on availability for his dates) and the domestic segments would be in coach. Then I had another client wanting to book what is usually a simple award, from San Francisco to Rome in business class. As is often the case there was no availability on the nonstop Lufthansa flight from the west coast, so their only options were to fly a transcon in coach to Charlotte, and then Lufthansa from there, all while paying fuel surcharges (based on availability it was the only “reasonable” option). And those are just two typical examples. Hell, the last five awards I’ve booked for customers using Membership Rewards points have all been in the form of transferring miles to Delta, which I previously almost never did. My point? United miles really make just about any award redemption easy. Star Alliance is hands down the strongest alliance to Europe and Asia. To South America OneWorld is the strongest alliance, though British Airways is transfer partners with both Membership Rewards and Ultimate Rewards. Otherwise the most valuable mileage currency nowadays is American, and you can accrue those miles through the Starwood Preferred Guest American Express. Keep in mind the Chase Sapphire Preferred card offers double miles on travel and dining and has no foreign transaction fee. Is British Airways now blocking OneWorld award space? 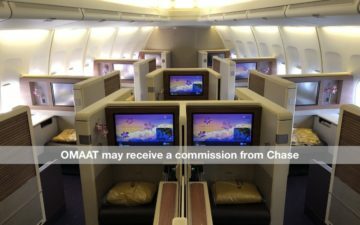 Re: the “US to Asia via Europe in Star Alliance first class for only 140,000 miles” is that available through US Airways also? I am thinking of going to PEK. What would the routing be, is it both ways via Europe or do you return direct from Asia? @ JA — Absolutely, you can do the same through US Airways. You can go both ways via the Atlantic, both ways via the Pacific, or one way via each. Through US Airways China is actually even cheaper — it’s only 120,000 miles in first class which is a real bargain. South Asia (Singapore, Indonesia, Thailand, etc.) costs 160,000 miles through them. Agreed, I see folks for years rave about MR and the big bonuses are nice but the test for me on any reward program is gift card redemptions. If they redeem points at a 1% redemption rate then the program is average. I see most of the GCs are MR are less than that. Since most of my flights are AA, the transfers mean nothing to me. As for earnings, I have an AA Plat that gives me 2% across the board and an AA Blue that gives me 5% on gas/groceries. I’m really glad I moved the last 80K we had in MR out to CO on 9/30. Soon to have 130K in Chase UR which should supplement those miles well. Our personal spend goes to Chase UR and our business spend goes to AMEX MR, but when our annual fees are due, I’m thinking of switching to Chase ink. @ Lucky — thanks for the rundown. The Points Guy says “don’t get rid of your MR cards just yet” but he never followed up to say where the good redemptions still are, and why a “back seat” card is worth paying $175/year for. That said, am I the only one who likes the SPG AmEx for accruing SPG points to use on actual hotel stays? When you need them, they are worth their weight in gold. Finally, I think you missed a biggie on the Chase UR program — Hyatt hotels. Hyatt’s top tier is 22000 points, enough for the $1k/night stays at the PH Paris and PH Maldives. Compare that to SPG, where the top properties want 35k+. @ Mike — If you’re trying to redeem for credit cards I’d say you’re always better off with a cashback card, since there are some great value to be had with those. Card seems great, but trying to think through the benefits when compares to my Chase Platinum MileagePlus. 5K EQMs each year when exceed 35K in spending, plus 5K more for .bomb purchases. Outside of EQM considerations, the points earned for travel are better with Chase Preferred? I’ll use your link if I move ahead. @ AK — I’d absolutely do that, especially if you spend a lot on your business credit card given the threshold bonuses they have. Otherwise I’d consider the Starwood Business credit card. @ Dan — And that’s the issue, $175 is just too high of an annual fee for a card to just “keep in your back pocket.” The thing is I’m confident they’ll come up with new partners because they’ve always been a great program, though I’m a bit disappointed in the way they’re handling this. For example, in the past there have been transfer bonuses to Delta ranging anywhere from 50% to 67%. I realize the bonuses are largely motivated by the airline, though in a situation like this when all of their other partners have just about gutted their award charts, you’d think *this* is the time they’d put their heads together and say “let’s at least offer a great transfer bonus to Delta.” After all, Delta’s own co-branded card is an American Express, so they have an incentive to work together. But the fact that there are no bonuses right now, plus the fact that most of their partners have gutted their award chart makes me wonder what American Express is up to. I consider myself an expert and previously HUGE supporter on the Membership Rewards program, though I’d encourage anyone to tell me what great redemptions are left. And I totally agree with you on the Starwood card. Especially now that award stays count towards elite status, I’m really seeing the value in redeeming Starwood points for stays at Starwood hotels. It’s also great when you can transfer something like 120,000 SPG points to Alaska for a first class ticket on Cathay Pacific from the US to South Africa via Hong Kong, but hotel stays are just as good of a value. Agree this is bad news. Are any of the smaller transfer partners worth considering? I’m thinking here of El Al for your client’s Tel Aviv trip or Alitalia for the trip to Rome. Thoughts? — The ability to transfer the points to any account instantly. If you earn miles with the United Visa the miles go in your account. But if you have a family member 5,000 miles short of an award, you have to pay to transfer points, as opposed to the Chase Sapphire Preferred which lets you transfer to their account at no cost. I guess the question is how much do you spend on a credit card per year? If nothing else it makes sense to get the card for the 53,500 point sign-up bonus and use it for dining and travel expenses aside from United purchases. @ Brad — There are other transfer partners where occasionally there will be a decent value, though on the whole none of Membership Rewards’ international transfer partners offer any sort of a compelling trasfer value. There are some great redemptions through Delta, though it’s typically an exception as opposed to the norm. Alitalia’s only west coast destination is Los Angeles, and they typically only release one business class award seat per flight. So they’d need to get to the east coast, and Delta never releases business class award availability at the “low” level between San Francisco and New York. So I’m not saying it’s impossible to get a good deal through Membership Rewards now, but rather just impractical 80% of the time. I totally agree that Membership Rewards have become very seriously devalued and Chase Ultimate Rewards have become increasingly more valuable. But I would put a word of caution out there that with Lufthansa, Aeroplan, SQ and many other big players in Star Alliance all charging fuel surcharges, don’t you just see it is a matter of time before United do to? I mean who for one second could stand up and say this isn’t something Smisek would love? I see similar events in the tea leaves for AA (to align themselves with BA/IB/CX) and Delta will happily follow. This year had gotten complex on the card front but I will consolidate at year end and likely stick to Chase Sapphire, Amex SPG and maybe one other as my so-called “clip” cards (nice term!) and likely cancel the Premier Rewards Gold card given it’s expensive fee. @ Phil — I do suspect United will eventually devalue their award chart as well, because from their perspective they have no incentive to offer so much better of an award chart and award availability than the competition. It seems to me that award chart pricing isn’t based on the actual cost of a ticket to the airline, but rather demand. I suspect this is why Aeroplan raised the cost of some awards by 50% (like US to Asia, given how popular it was), while they lowered the cost of Middle East, India, etc. The question is how can they counter the higher demand/supply of some airlines and regions. For US airlines I don’t see the long term solution being fuel surcharges, since the credit card companies just wouldn’t allow that. The only reason the credit card companies succeed with their co-branded cards is because of the lure of “free” flights. The reason American got away with it for British Airways is because redemptions from the US to Europe weren’t previously possible, and this was supposedly a condition. So long story short I believe that for US airlines the demand/supply of awards will be reflected in the mileage cost of an award, as opposed to the additional of fuel surcharges, at least for the foreseeable future. @lucky – For US to Asia via Europe through US Airways, don’t they charge the higher US to Europe price? Great post. I completely agree with you about AMEX Gold. However, I still love the SPG AMEX and think that it and the Chase Sapphire are the two best cards on the market. I feel that the best redemption value for SPG points is for hotels. For example, there are regularly 12,000 point redemptions for Westins when the rate is in excess of $300/night. This includes tax and you get the 5th night free. Thus, 48,000 points is at least a $1,500 + tax value. If you have a lot of points, Ws are an incredible value (sometimes). Not only does it make the wife extremely happy, but they are also (generally) very expensive when paying cash. (2) The Chase Sapphire card is the single best card I have ever owned. The dining and travel 2x points is an incredible benefit as $12,500 spend would get you a (theoretical) RT coach intercontinental flight on United or on AA when transferring to BA miles and booking through BA. Also, as you pointed out, the 7% brings it over the top. @ Paul — Nope, I’ve never been charged the higher price. Amex will have to do something, offer more double points, a new benefit, something or Plat and gold users might decrease spend and bring it over to chase. I know I have with the continental card already. Sappire might be next. I hate using chase they are a pain, but the rewards eases that issue a little bit. @lucky – yes think we pretty much agree. no fuel surcharges on domestic flights but want to fly biz class to europe or asia? ker-ching! and they can handle the domestic issue the way delta do it – make very little low level available and jack people up into the higher awards. I like your more aggressive blogging style of late, slamming these programs for devaluations! BTW, why does WordPress always tell me I am posting too fast when it’s my first post in hours? @ toomanybooks — Thanks! Re: the WordPress issues, the same thing is happening to me. Made the IT folks aware of it and hope it’ll be fixed soon. Sorry about that! You should add the Chase Freedom card coupled with a Chase checking account. You’ll need to keep $1500 in the checking account to avoid fees but you get 10 bonus points per purchase and 10% bonus per purchase. Then you get the 5 points per $ spend of rotating categories every quarter. The points are transferable to your Chase Sapphire Prefered rewards account. @Lucky — Thanks for bringing up the Chase Ink Bold spend thresholds, didn’t realize that. We put about $15K/month on the business AMEX card, but AMEX only gives 25K bonus points after $50K spent. Just saw Chase gives 47.5K after $100K spent. Will look into it. Hopefully MR adds another *A airline, even if it is US Airways. Also, ANA’s chart seems to work for the flights we take and is the only decent MR partner for me … do they charge fuel surcharges themselves or for other *A partners? I know they do for VS.
@ HikerT — And I was one of the people that purchased a ton of Delta miles during that promotion because it was a great deal. But miles/points aren’t a commodity, so I don’t think one can fairly and objectively value miles based on a promotion that may or may not exist in the future. This is especially true for me because I think of miles as a short term asset and not a long term asset. There are some people that like to hoard miles for retirement, and as far as I’m concerned that’s one of the worst possible “investments” given how quickly they devalue. The only good redemption down the road I can think of off the top of my head is transfer to BA and use a BA 241 to fly East Coast US to Western Europe in BA First Class under the new Avios program (should be 120k miles), but other than that there have been too many big devaluations recently. With the 241 from the $30k spend in a calendar year on the Chase BA Visa, that would be 120k miles total + a bunch of taxes and fees. Throw in another 50% transfer bonus, and that’s only 80k Membership Rewards + say $1500 in taxes for 2 first class BA tickets which is a pretty good redemption in my book. @Lucky: “…trying to find a date in a room full of couples…” Classic — I’m gonna use that! 😉 For the record, that’s basically my entire high school experience right there and I’m now happily married and have a daughter. So all’s well that ends well, though it might take a while. 😉 In the meantime, a Sapphire Preferred card is definitely a good choice for most (I’m gonna wait for another round of 100K bonus, though, as I’m in no rush). I am still thinking about renew or not renew my AMEX Plat. I am leaning towards renew, but the MR earnings are secondary to all the other great benefits it offers. I also just was approved for my Sapphire card (used your link, hope you got your $5.00!). I was initially put under review, but I called the reconsideration line, lowered the balances on my other chase cards (MP Select, Marriott, Hyatt, and CO OnePass) and they approved the Sapphire. @lsbuffs: I am definitely keeping my MP Select Visa too – all of my UA spend will go on this card 1) for the 5000 EQM’s, and 2) for the 3 miles per $ they give you for UA spend. Again, like Lucky says, it depends upon how much you spend in a year… If you only spend $10 – $20 K, hard to justify a lot of cards. I spend around $70 – $80K annual on cards, and am planning to reduce my total cards to 5 or 6, which I’ll find manageable. @ Lark — Hah, thanks (both for the compliment and for applying through my link, I appreciate it). As far as the Amex Plat card goes, it’s a great card to have, though NOT for actually spending money on, in my opinion. The annual fee is essentially $250 ($450 fee minus $200 airline credit which can apply to so many things that I think it can be valued at face value). So the question is whether you value lounge access/Priority Pass at $250? All the other benefits are useless, in my opinion, so that’s what I’d narrow your thought process down to. In my family’s case we have four cards (costing $450 plus the $175 for supplemental cards), and we all chip in for the annual fee. We pay $625 minus the $200 airline fee credit, so about $100 per person per year for lounge access. Not a bad value! But I can’t imagine actually spending a substantial amount on the card, it’s just not worth it. As you say, it all comes down to how much you actually spend a year. If you’re spending $20K/year on a card I can’t imagine it’s worth having more than two cards in terms of the reward vs. annual fee, but for those that spend more it can make sense to have a handful of cards and maximize the value of each card based on the spend category. @Lucky: Hey, was that “the sky ‘is’ falling” bit a reply to my comment on Gary’s post? 😉 If so, then I consider myself famous now. @ A. S. — Hah, it wasn’t intended as a response, though I am generally a “sky is falling” kind of guy. That being said, while I’m confident Membership Rewards is working hard to find partners (I’m confident in them like you), I’m not sure how easy it will be. Basically, Membership Rewards is trying to find a date in a room full of couples. Just about all airlines have credit card affiliations, and I’m sure many of their contracts restrict them from entering an agreement with a program like Membership Rewards. 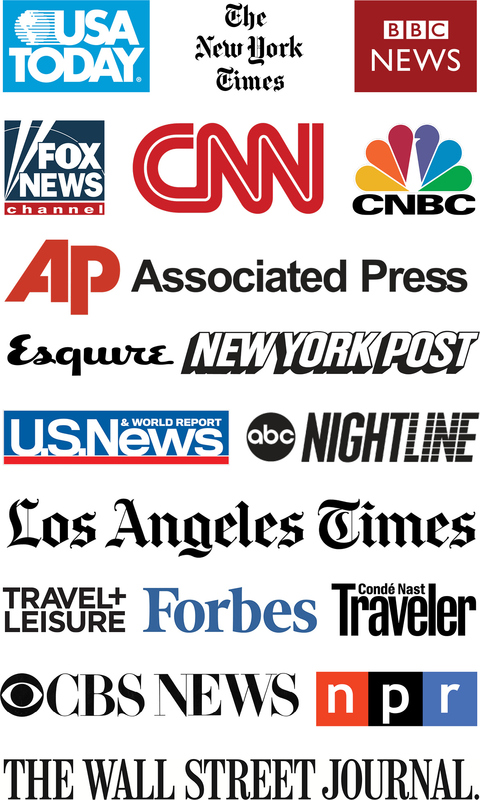 What quantitative methodolgy did you use to value these programs? If not I’d say being “loyal” to a credit card long term is different than a spouse. Hehe. Good luck on the 100K bonus, certainly crossing my fingers it’ll happen, though with the trend we’ve seen lately I’m starting to doubt we’ll see it. Do you have a formula for those values or are those approximations? Great post as always, and a better response to my comment than I could have asked for! I just made the wallet swap myself, promoting the SPG Amex and demoting the PRG (we have almost identical setups- I have a card holder in my back pocket with the SP and (now) SPG, a much larger travel wallet in my briefcase with occasional use cards, and a binder clip in my drawer with cards on cancel-row). I’m confident Amex MR will figure out something to bring value back to MR points, but until we know exactly what that something is, I’m not looking to speculatively accumulate MR points. UR/SPG points are plenty valuable that there’s no need for that. That’s all very dependent on how aggressive you are. I’m not the type that’s applying for cards every 90 days on the dot regardless of what bonuses are available. I pick my spots since certain things (WN points, Marriott points, etc) have no value to me. The result is I have a fair amount of “downtime” with my spend where I’m not trying to hit any thresholds, and have to choose cards to use where I value the non-signup bonus rewards the most. Kind of missing the point here. No one should have any cards that are permanent fixtures, since you should always be directing your spend towards the new card for the signup bonus. Disregard if you have unlimited spending power. Or if the permanent card has benefits in excess of the annual fee, in which case you keep the card but don’t spend on it. @Ben you’re also forgetting about bonuses from spend thresholds, like spending $30K on the BA Visa gives you a 2-for-1 voucher, or spending certain amount on DL/UA/AA cards gives you valuable elite qualifying miles. For now I will keep using my United Select Visa creditcard that earns 3 miles for UA/CO, 2 miles for home supply, gas, grocery AND dining. 2 miles for grocery and both dining are pretty hard to beat. NOW if Chase is trying to force me change the card to mileage explorer card… sigh, sock-drawer it and get Chase sapphire Preferred I guess.